In 2015, the world community pledged to decrease half the number of deaths and grave injuries caused by traffic accidents by 2020. However, more than 3200 deaths caused by collisions occur every day, and with the growing number of vehicles, that number can only triple by 2030. As is expected, cities with poorly designed streets have the highest rates of injuries and deaths. In fact, 90 percent of these collusion-related deaths happen in low- to middle-income countries, with serious consequences; economic productivity decreases and the quality of life suffers. Luckily, we are witnessing a global movement in the rethinking of street design. The idea of making urban spaces safer used to be limited to European cities, such as Amsterdam or Copenhagen, places where good urban design has been practiced for over 40 years. Today, improvements have been felt everywhere. Five cities in Brazil, China, Colombia and India are changing the way people navigate urban spaces. Each has implemented innovative design interventions based on the Bloomberg Initiative for Global Road Safety. Joel Carlos Borges Street connects the Berrini train station to the city’s financial centre. Thousands of people pass through the station every day. Before September 2017, the street had narrow sidewalks that couldn’t safely accommodate the heavy flux of pedestrians (around 22.5 people per every vehicle during rush hour). As the street is the main pathway to the station, it creates a high level of risk for pedestrians. 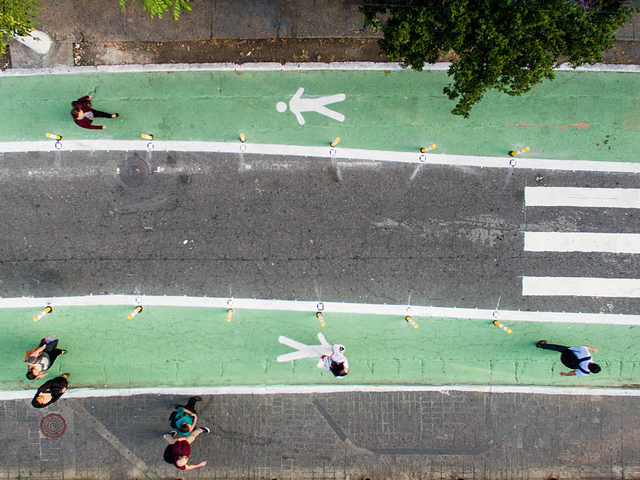 The city decided to redesign the street to include more space for pedestrians, better signalisation, reduce speed limits, and add urban furniture and green infrastructure. Now the sidewalks are over 3.5 metres wide, offering ample space for pedestrian traffic. Widening narrow sidewalks and narrowing the traffic lanes reduces speed and creates a safe and pleasant experience for all. This new and improved design for ‘complete streets’ not only provides a blueprint for safer streets but also reminds drivers that pedestrian safety is crucial and must be their first concern when driving. This was the first temporary intervention in São Paulo and was well received by the public. The city is now considering similar enterprises in other places. Cidade 2000 is a residential neighbourhood during the day and a vibrant party zone at night. Despite the high number of pedestrians, the street was dominated by vehicles, leaving pedestrians and cyclists vulnerable. 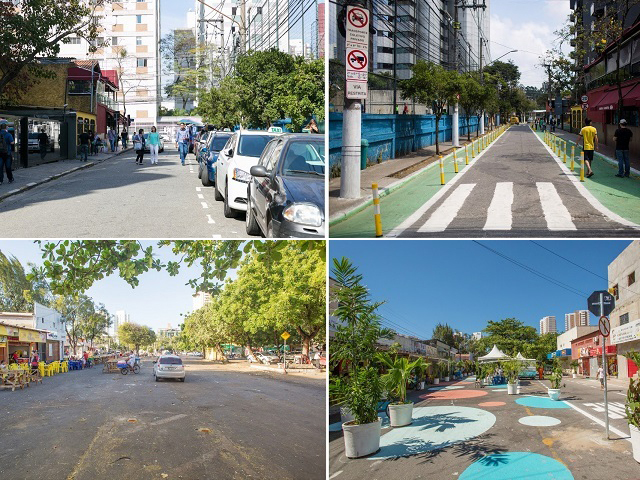 To improve the safety of pedestrians and cyclists, the city of Fortaleza announced a “Calm Traffic Area” in 2017, transforming 1200 square metres that were designated for parking and traffic lanes into a functional pedestrian square. 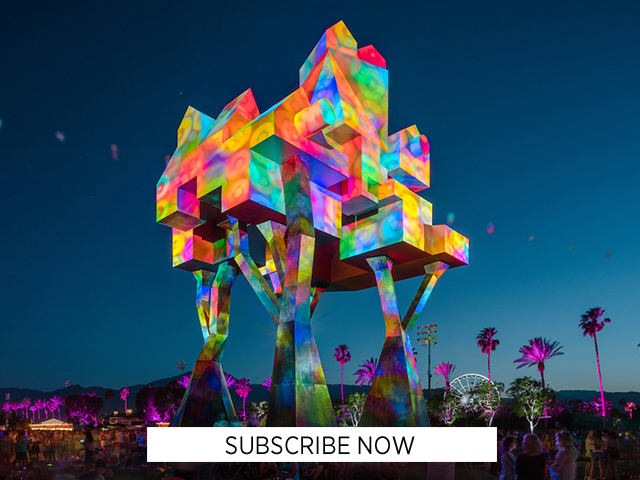 In 2017, the neighbourhood received its first temporary transformation, called Cidade da Gente (City for People). It included the removal of a traffic lane, a speed reduction to 30 km/h, sidewalk widening, curb extensions and five new pedestrian crossings. The transformation also included street art, green infrastructure and street furniture to clearly designate pedestrian space. The project showed residents how tactile urbanism can bring life back to degraded streets. Due to the positive feedback, the temporary intervention is becoming permanent. The mayor has also announced similar low-cost interventions in other areas. The Nagpada intersection is chaotic and challenging for all its users, motorised or not, as are many others intersections in Mumbai. The triangular junction connects six main roads and serves many school districts. However, it hosts 3000 vehicles during rush hour, resulting in heavy traffic. Pedestrians had little to no space and what existed for sidewalks was degraded. These factors created an inefficient, dangerous and confusing intersection. Accident data showed that Nagpada was responsible for a third of all traffic deaths in Mumbai. In August of 2017, the triangular geometry was temporarily changed to channel the traffic and allow for safer new paths for pedestrians. The crossing distances were reduced and new crossings were made on all sides. The project has also redesignated ground from illegal parking into a square. The chaotic intersection has become a place for new encounters. The new arrangement has also made managing the intersection easier for the traffic police of Mumbai. Bogotá’s Kennedy district is well known for its heavy pedestrian and cycling traffic. For many residents who live on the outskirts of the city, cycling is usually the most convenient transportation method to go to and from work, school, and home. Between 2013 and 2017, 61 traffic accidents and one death were registered at the intersection of Carrera 80 and Calle 43 Sur. Pedestrians and cyclists were in danger due to the lack of signalisation, access ramps and traffic lights to ensure safe crossings. The poor design also directed cyclists to ride opposite of oncoming traffic which resulted in conflicts with pedestrians. To ensure safer conditions for all, the city redesigned the intersection in January of 2018. The renovation included reducing lanes, adding cycling lanes, pedestrian crossings, better access ramps and pedestrian traffic lights. It resulted in a safer route for cyclists and an improved safety for pedestrians. Zhengtong Street connects the commercial district of Yangpu to a high school and the Fudan University campus in Shanghai. The 15-20-metre-wide street serves a heavy influx of pedestrians with a mid-range amount of traffic. Zhengtong didn’t have a pedestrian or cycling infrastructure, hindering the uses of both. Another concern was the crosswalk in front of the school that endangered pedestrians. To promote a safer environment, the Yangpu District implemented separated bike lanes and improved sidewalks. They also narrowed the road (that facilitated crossings), added reflective materials to solar panelled stop signs and street signalisation. The transformation was well received by district workers, local cyclists, and students. Zhentong Street now serves as an example of road safety for other Shanghai districts. 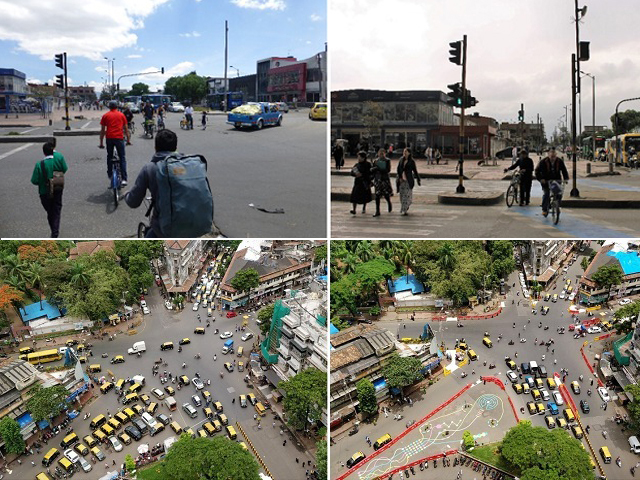 While urban streets are fundamental public spaces, they are also one of the most neglected. What was before a privilege for high-income economies, is now becoming a necessity for countries throughout the world. Previous postWhy are Old Eucalypts Worth Saving? Next postAre Our City Investments About to Have a Kodak Moment?